Today's topic is very easy. 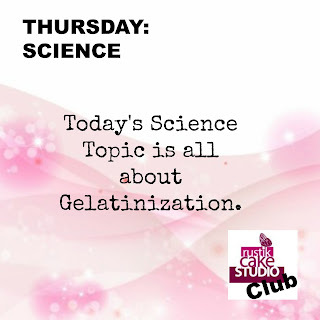 Gelatinization which is a process of breaking down the intermolecular bonds of starch molecules in the presence of water and heat, allowing the hydrogen bonding sites to engage more water. This irreversibly dissolves the starch granule in water (from wikipedia). During baking, sugar tenderizes by absorbing liquid and delaying gelatinization. In cakes, the heat of baking causes the starch in flour to absorb liquid and swell. 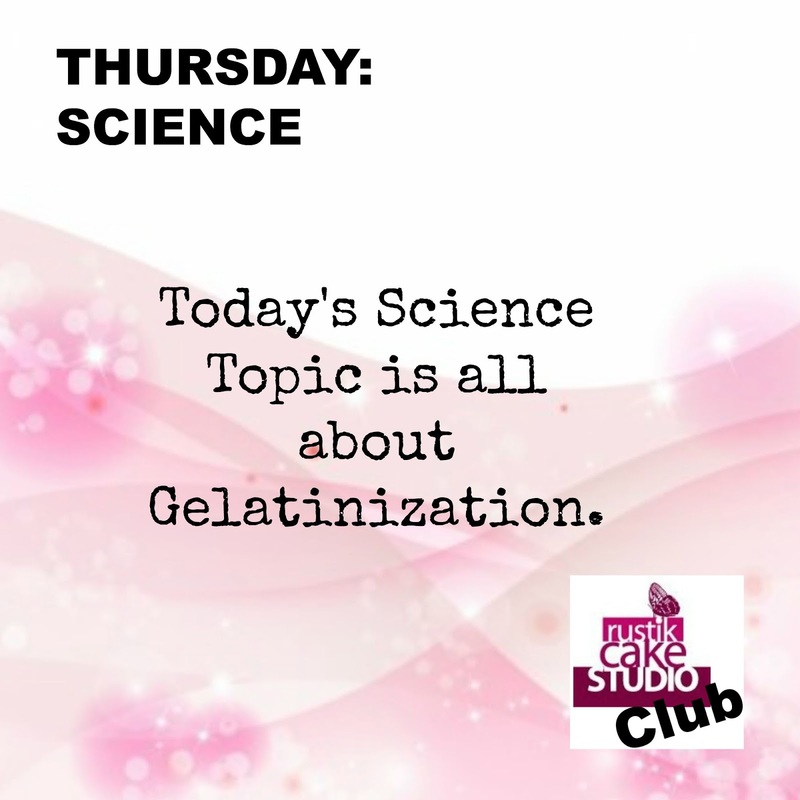 This process is called gelatinization. As more liquid is absorbed by the starch, the batter goes from a fluid to a solid state, “setting” the cake. Sugar acts to slow gelatinization by competing with the starch for liquid. By absorbing part of the liquid, sugar maintains the viscosity of the batter. As a result, the temperature at which the cake “sets” (turning from liquid to solid state) is delayed until the optimum amount of gases are produced by the leavening agents. Carbon dioxide, air and steam produced from leavening agents, heated water and air become entrapped and expand in the air cells. The result is a fine, uniformly-grained cake with a soft, smooth crumb texture. As described above, sugar is effective in delaying starch gelatinization in cakes and provides good texture and volume. Little data is available concerning sugar’s function in delaying gelatinization in breads; therefore its influence on gelatinization in yeast-leavened breads is less clear. In theory, as breads with higher sugar content bake, gelatinization is delayed by the same mechanism described above in cakes. A bread with more tender crumb texture results. Don't forget to subscribe to YOUTUBE, like us on FACEBOOK and follow us on TWITTER, INSTAGRAM and PINTEREST. Welcome to Rustik Cake Studio. I'm Rocio. I'm a cake and pastry lover from Peru living in New York. I'm a mom of a very active 6 year old boy and married to a wonderful man. I teach Cake Decorating Classes at my Studio in Central Islip, NY. Most of my blog posts are about cake and anything related to that. Enjoy! Get Cake News Delivered to your Inbox ! 2008-2018 Copyright @ RUSTIK CAKE STUDIO. . Awesome Inc. theme. Powered by Blogger.